It is said that Santa enters through the heart. Perhaps no other Santa has brought more heart to the red suit than Jimmy Lomax. 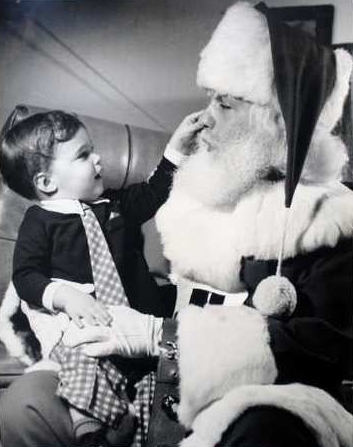 Diagnosed at age 7 with a lung disorder, Lomax had a visit from Santa that encouraged him to don the suit. Beating the illness, Lomax donned the red suit at age 15 and took candy to children in area hospitals. In 1958, he began his life’s work by founding a charity known as “Operation Santa Claus” that served the Hamilton area. Lomax and his wife, Susan, worked hard each year giving all they had to the children and families the charity served. Living the life of Santa both in and out of the red suit, Lomax did all he could to give to others which exemplifies the character of Santa. For his heart-filled service, he was awarded the Order of Canada, the Ontario Medal for Outstanding Citizenship, Hamiltonâ€™s Distinguished Citizen of the Year, and the Queen’s Jubilee Medal. Jimmy Lomax sadly passed away in 2011.